I want to talk a bit about tattoos today. 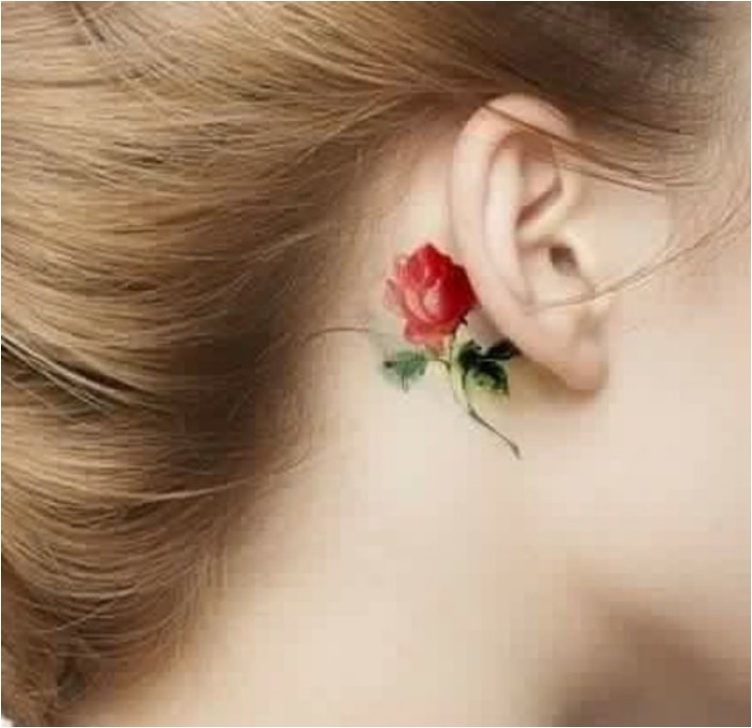 Specifically, flower tattoos. Personally, I’m afraid to get a tattoo because of the pain. But I appreciate good art when I see it. 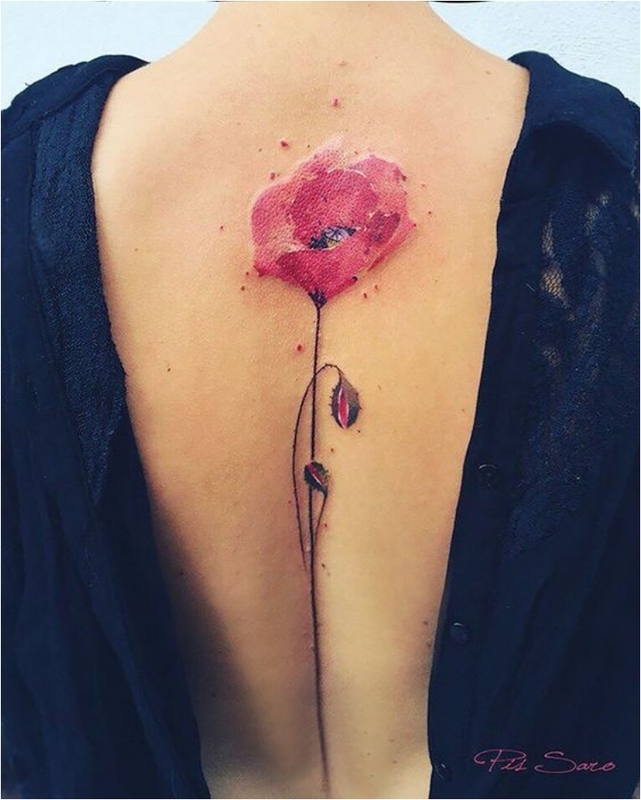 What I’ve noticed in recent years is that flower tattoos are getting a bad reputation. People think they are only for girly girls. Well, you couldn’t be more wrong. 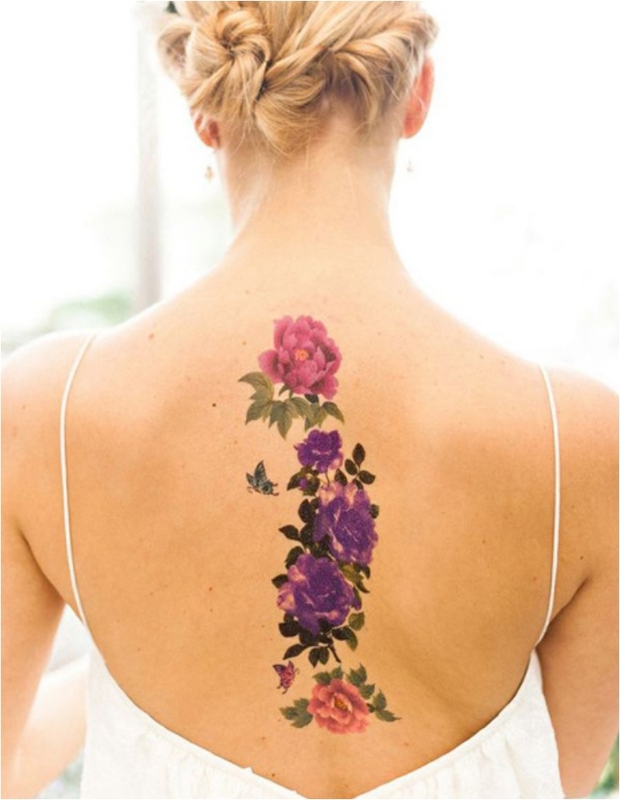 With the right tattoo artist and the right idea, a flower tattoo can look stunning. 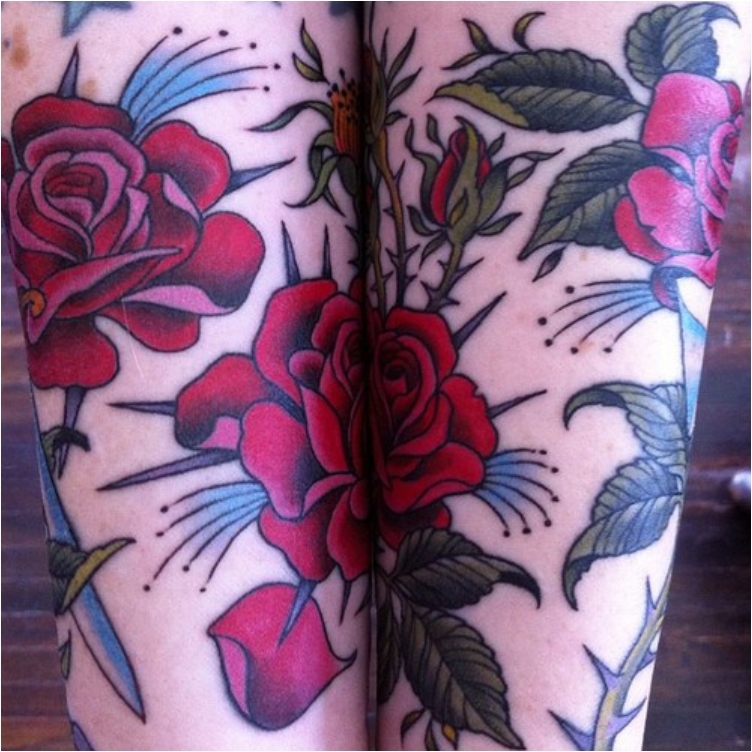 We start off with a classic: the rose tattoo. 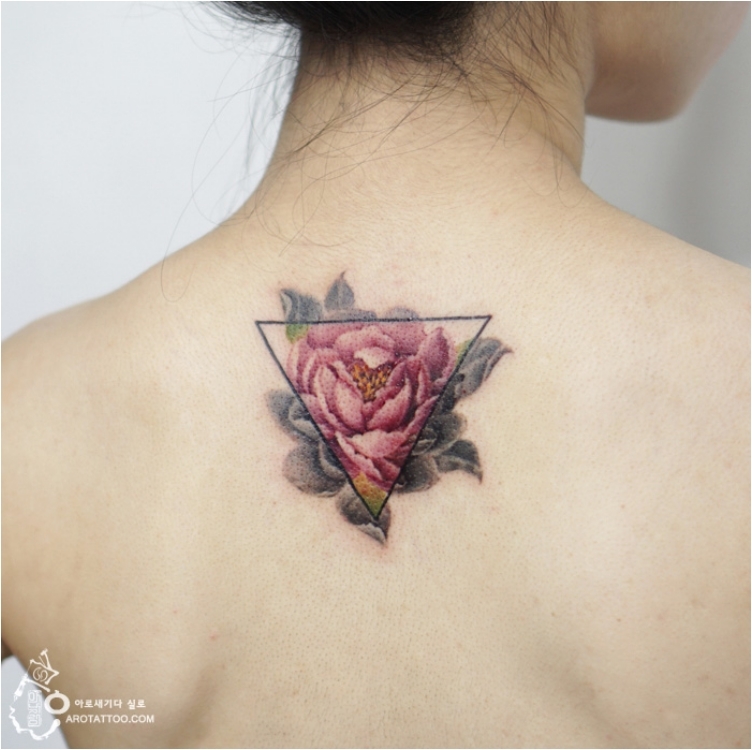 There are so many ways you can add a rose to your body. But what I like here is that the tattoo is small and cute. Think of it as a better alternative than the paws people usually put on their back just below the neck. 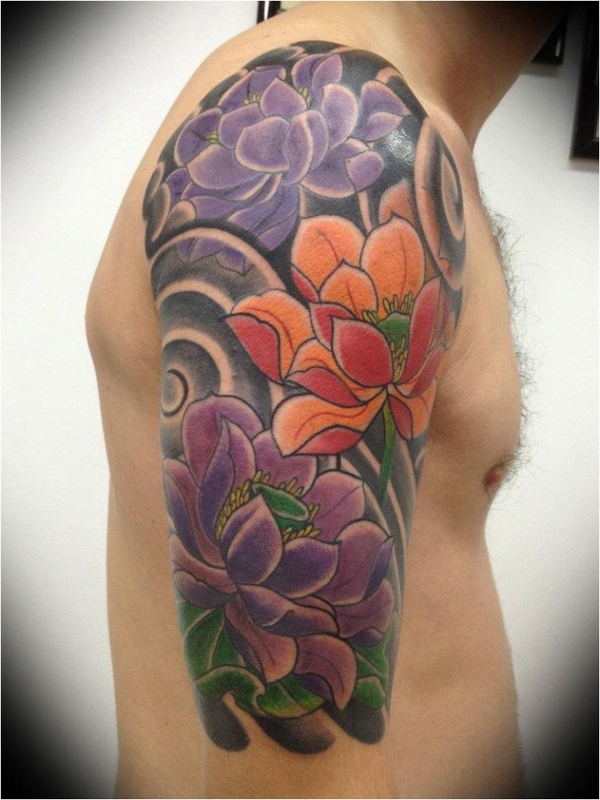 As you can see here, one of the biggest benefits of a flower tattoo is that you can add colors. It looks vivid and lively. 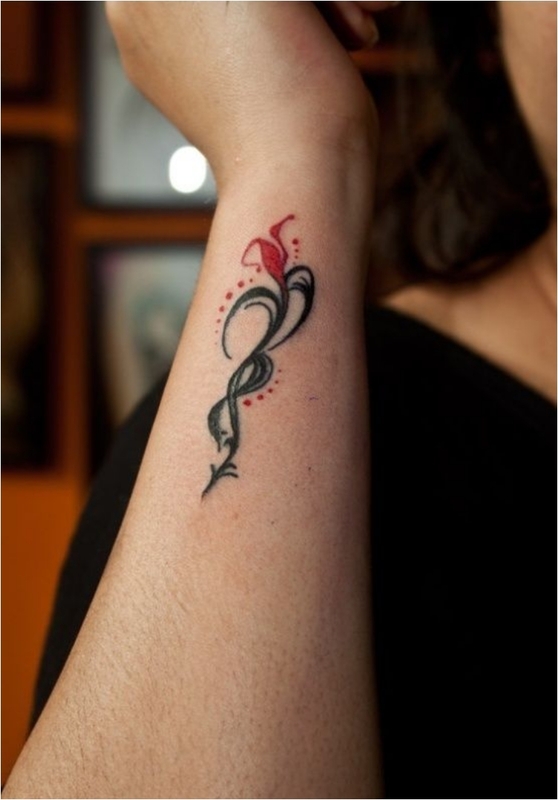 And the place above the ankle is a great idea, being that it is a fairly large area that can accommodate any tattoo. We are getting into the artistic world now. Cherry blossoms are popular all around the world, but in Asia, they have a special meaning. The cherry blossom festival in Japan is one of the best. And you definitely have to see it, at least in pictures. We are getting a bit romantic and sensual here. You have your entire arm for the tattoo, and it is definitely a good spot. The colors are extraordinary. 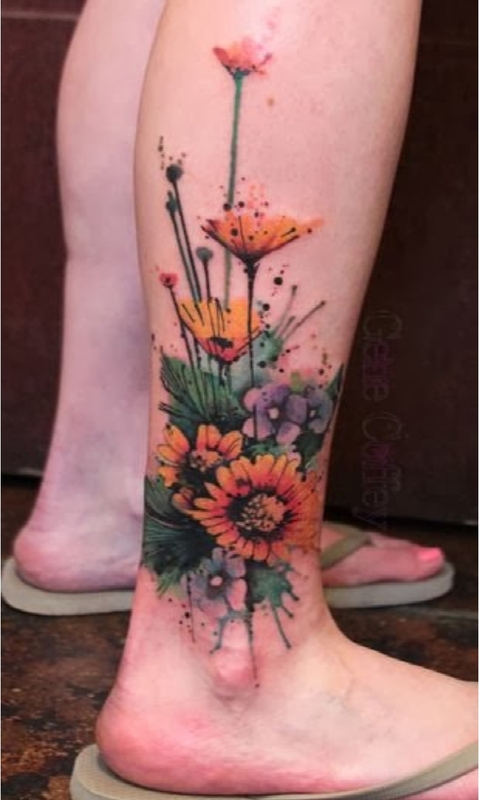 I know I’ve said colors are great for flower tattoos. But sometimes, black is definitely the best way to emphasize your design. Kudos to the tattoo artist for this one. When you look at it, it looks like the flower is popping out from your body! Not many people can hit that 3D depth with a tattoo. And everything around the flower looks awesome. This is a trend that started a few years ago. 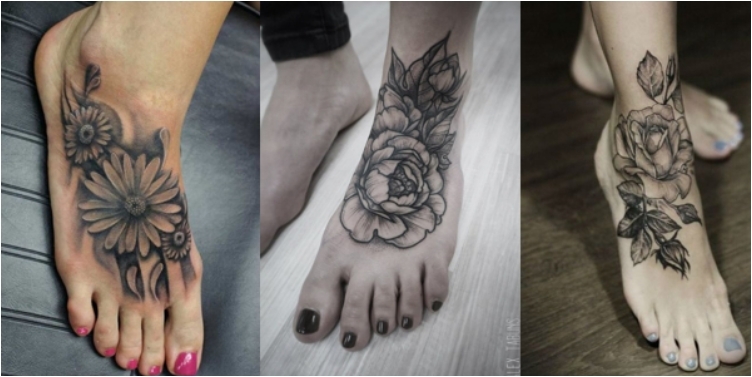 The feet have become a great place for a tattoo, especially when you’re wearing open shoes. We have roses, and we have some other flowers. Any flower will do. Asters are considered enchanted flowers. Back in the ancient days, people believed that the scent from asters could scare away evil ghosts. Today, there are still people who believe in the aster’s magical power. 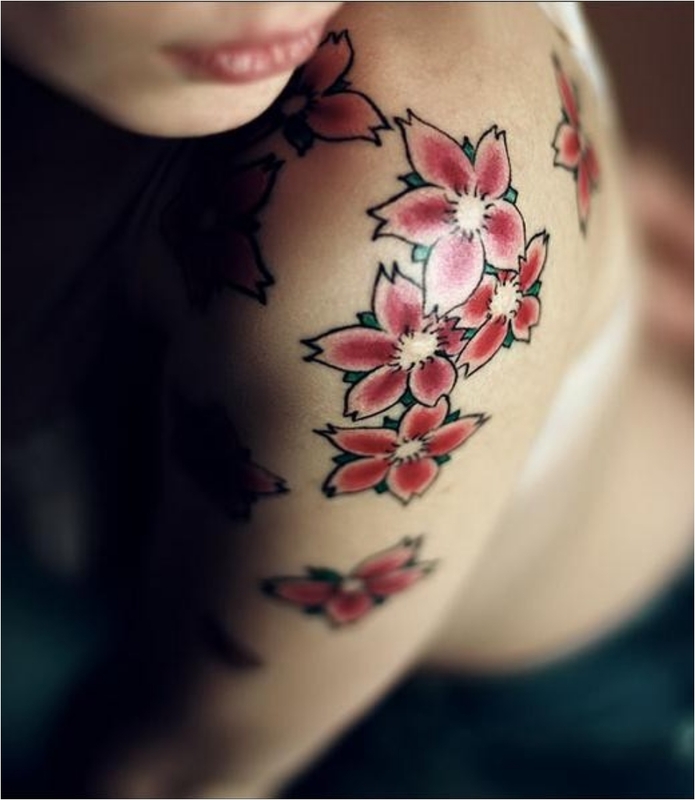 But most people get the tattoo because of the sheer beauty of the flower. I’ll admit, this one definitely looks like a girly girl tattoo. 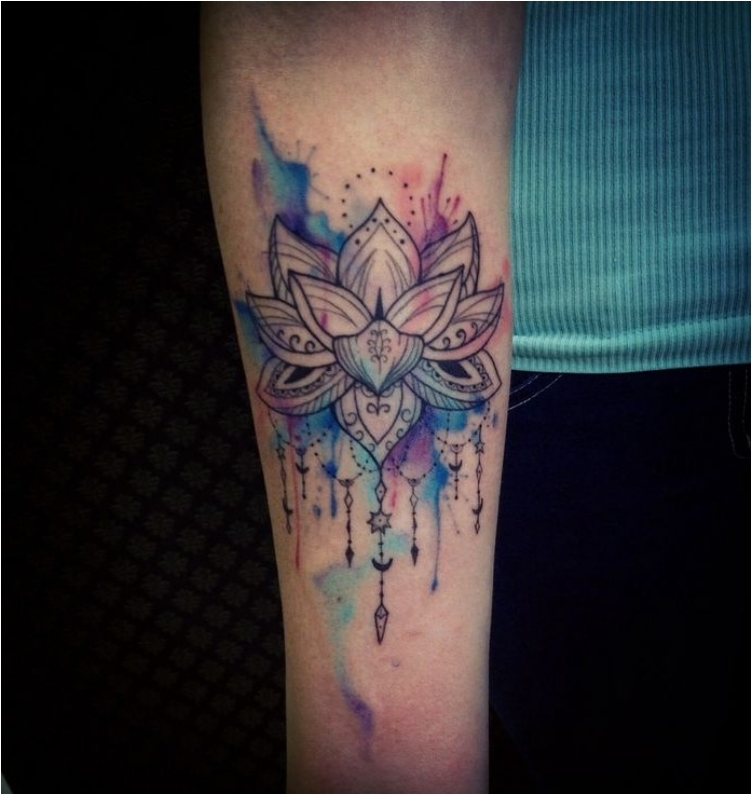 But the colors are what separate it from those tattoos and make it more sophisticated and grown-up. 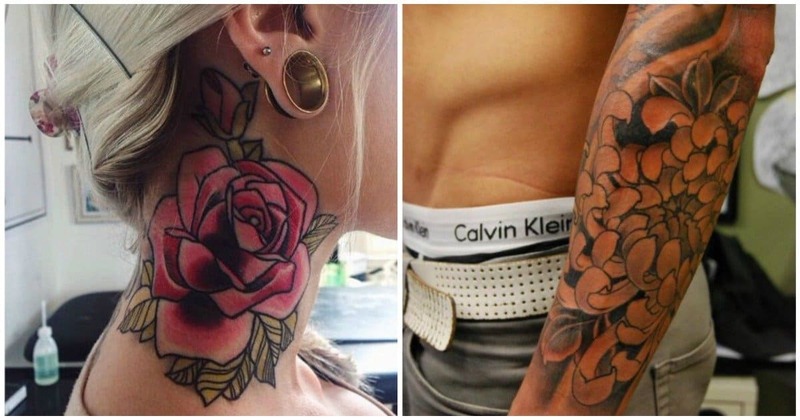 Some people want their tattoo to be visible, some want to hide it. 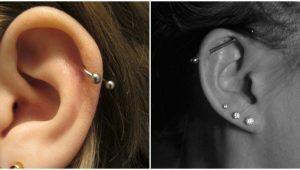 If you want to keep the tattoo for yourself, the place behind the ear is one of the best. 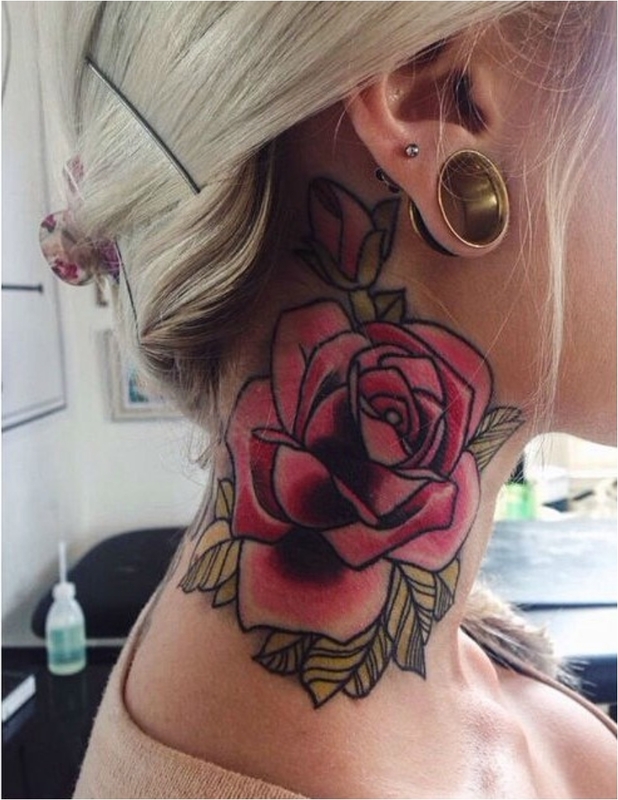 And a rose fits there perfectly. Another flower that has deep meaning. The blood poppy became popular once it made its debut in the video game Minecraft. The flower is used to take blood samples from anyone who walks over it. And I’m willing to assume that’s the meaning people seek with this tattoo. 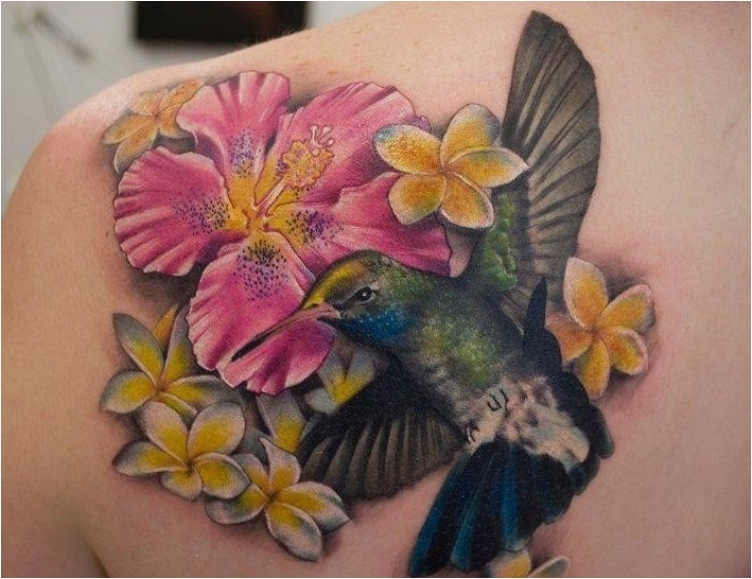 We will have several bird and flower tattoos further down the list. We start off with the humming bird, one of the more popular birds. 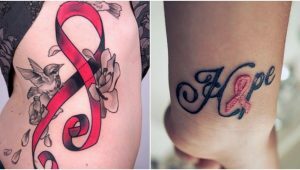 One of the reasons it makes its way to tattoos is because of its colors. Not many people will get to see this one. But you will carry it with you everywhere you go. I love these subtle tattoos! 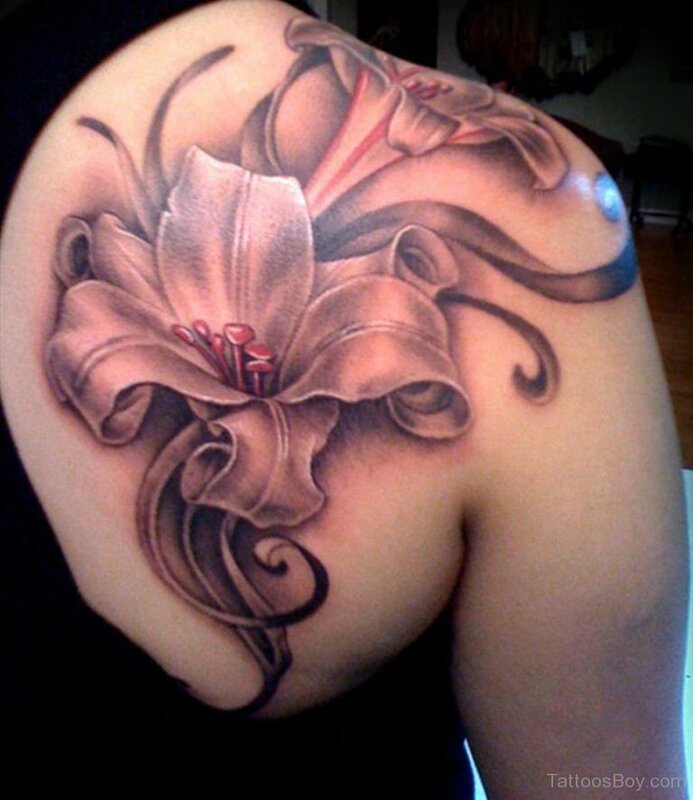 The lily flower gets the complete artistic treatment. It might be too big for some people, but it is definitely a cool one. And besides, you can always make it smaller. 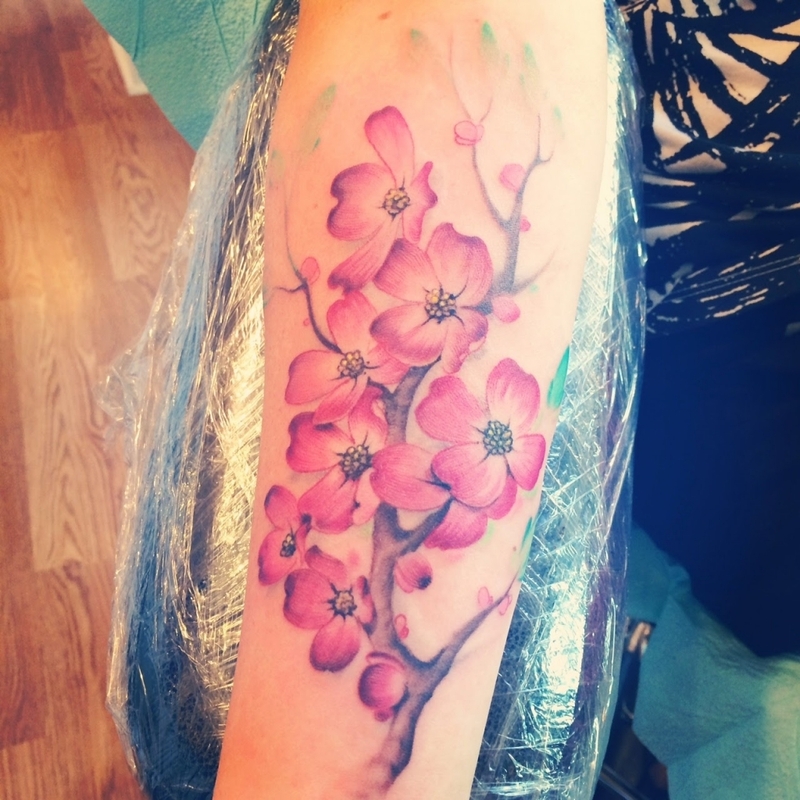 A little more conventional and normal cherry blossom tattoo. 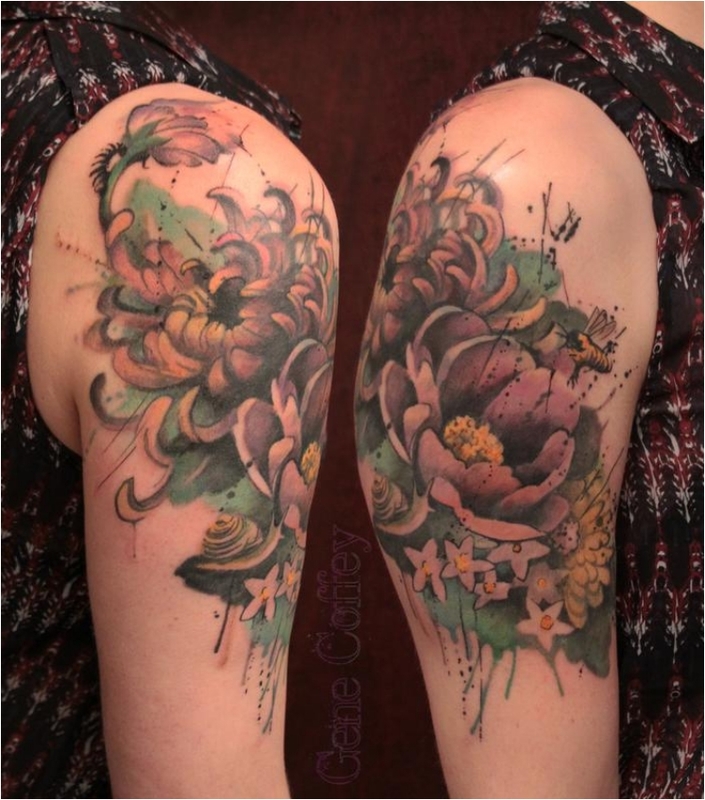 Great for people who do not want to have their entire arm and shoulder taken up with one tattoo. You might think pink is a girly color. But in this case, it is definitely spot on for the tattoo. When you take the design and the positioning into consideration, pink is the best option. And it looks deep and emotional, something not many colors can deliver. 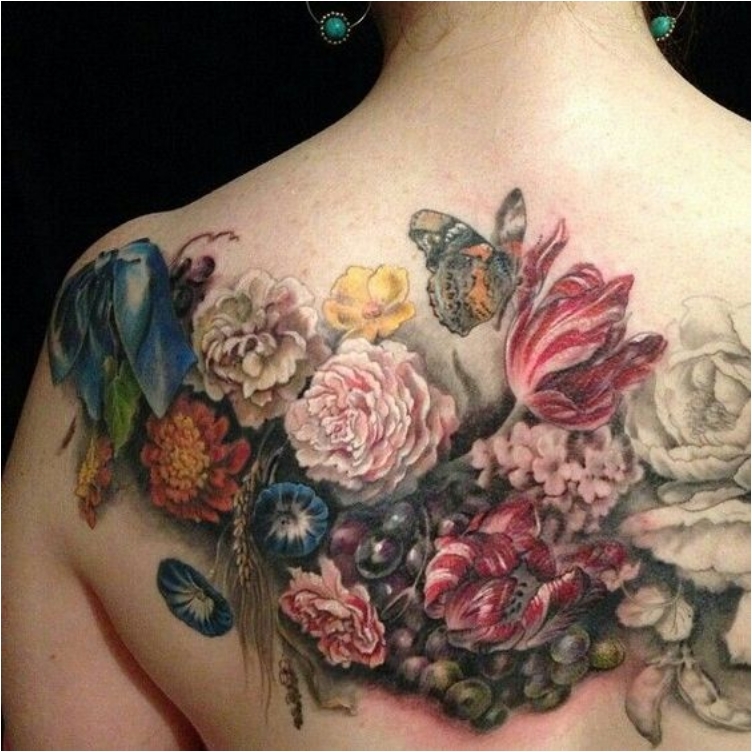 This one looks like you have a complete flower bouquet on your back. The only downside I can think of is that you can’t combine it with other tattoos on your back. But it does fall nicely down your spine. Ouroboros is a symbol that originated from Egyptian mythology. But thanks to the Ancient Greek mythology, it entered the Western Culture. 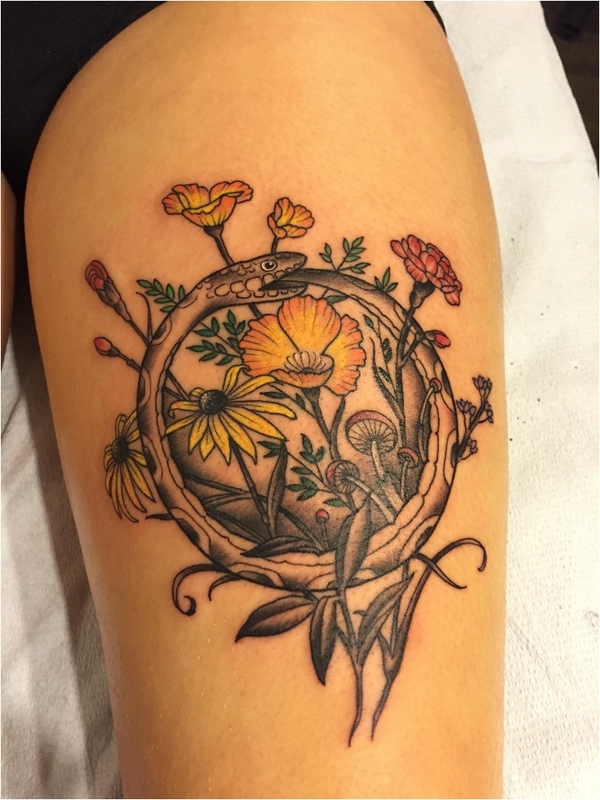 The symbolism behind the tattoo is the eternal cycle of renewal. 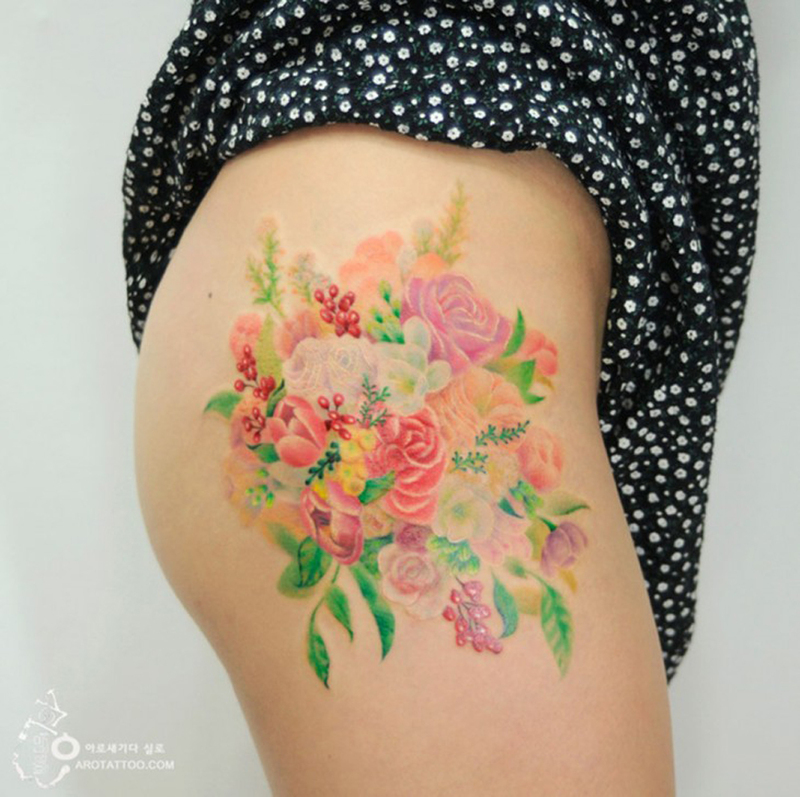 I noted at the beginning that flower tattoos are not exclusively girly girl tattoos. Look at this lotus flower. 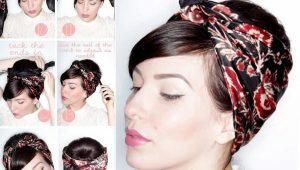 Doesn’t it look like something grown-up women and men would wear? 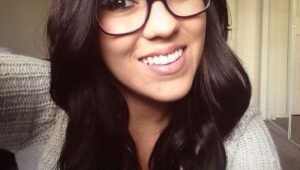 I have a female friend who has her entire arm tattooed. And it looks awesome. 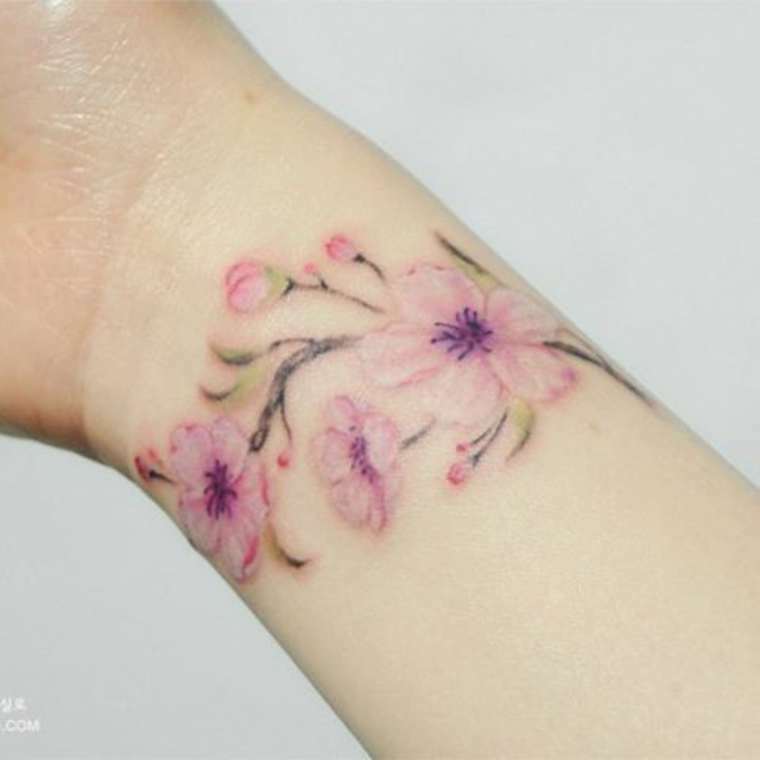 This flower tattoo also covers the whole arm, but if you can wear it with confidence, people will love it. It all comes down to how you feel. We had a flower bouquet down the spine previously. This one is more elegant and minimalistic. If you prefer minimalism, the single flower might look even better than the bouquet. Many flowers have their own epic history and mythology. In the case of dogwood, I don’t think many people know about it, so here it is. The legend is that the dogwood once stood tall and straight, but then it was used to make the cross for Jesus. 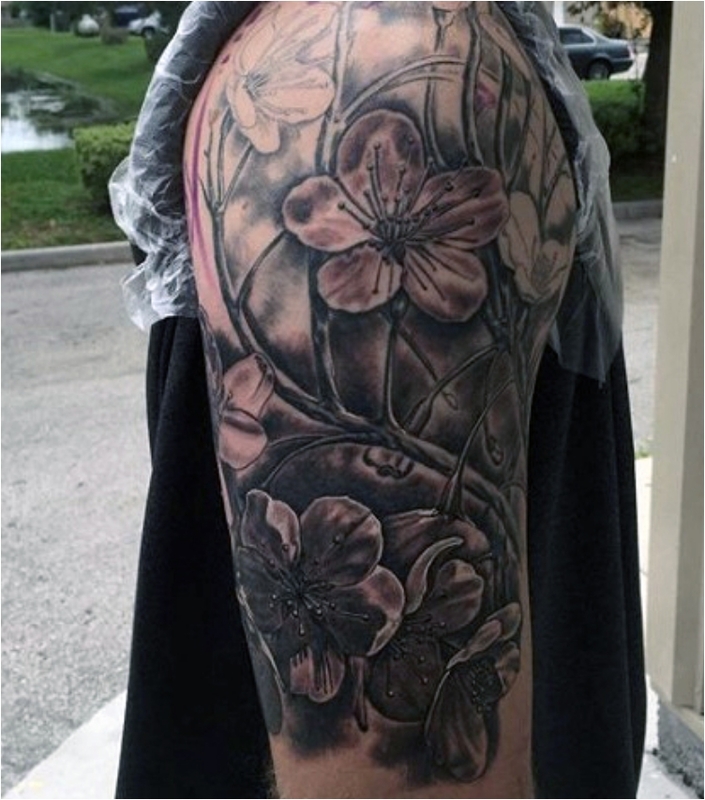 Very much in line with the tribal artistic style, this flower will make you stand out from the crowd. You will definitely be unique in your own way. The hip is not a place you’d normally consider for a tattoo. But you can make it work. 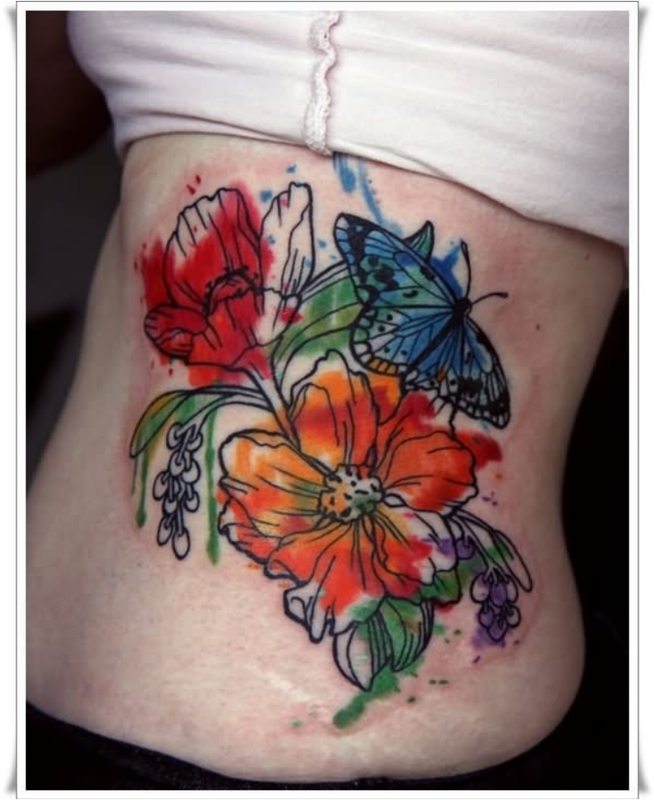 And this colorful and vivid tattoo certainly looks good. Taking it to the next level, we have not one, but two fully tattooed arms. And the trick is in connecting them together. 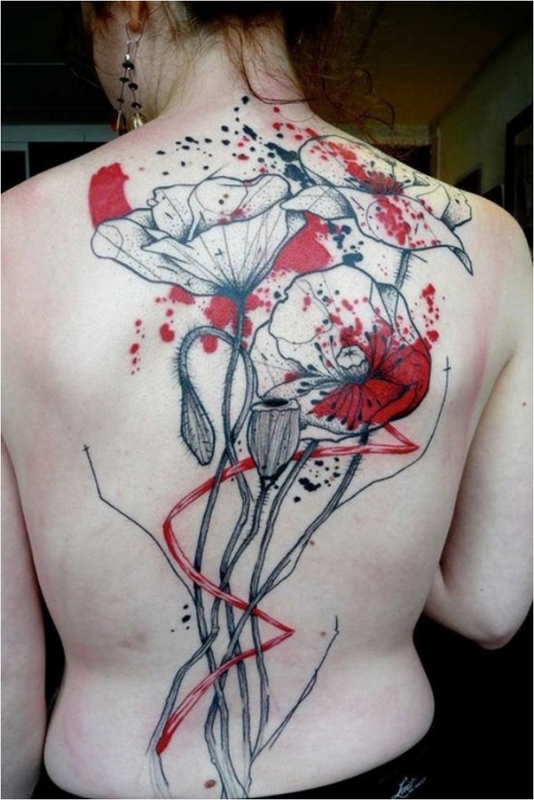 And you still think flower tattoos are girly? We’ve had quite a few lotus designs so far. And we will have some more down the road. 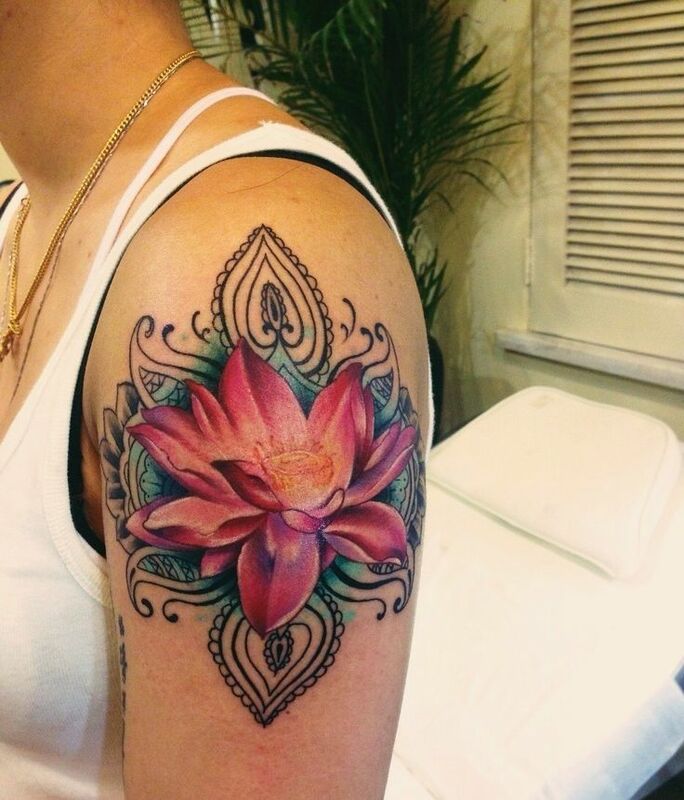 The reason is simple: the lotus is one of the most popular tattoo flowers. So I want to give you different options and ideas. 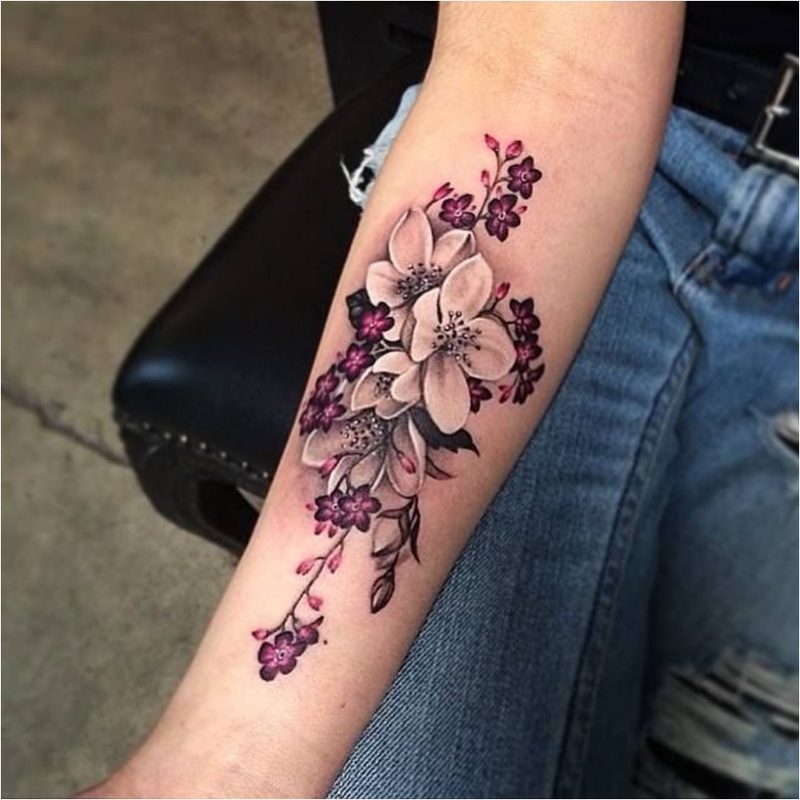 I don’t think that after this tattoo, someone could say that flowers are girly. Yes, it might look dark. But at the same time, it is stunningly appealing. As you can see, the lotus flower can make its way to any part of your body. That’s one of the reasons people love it. The size and shape make it versatile for the entire body, be it the arm, shoulder, neck, back, leg, hip, etc. 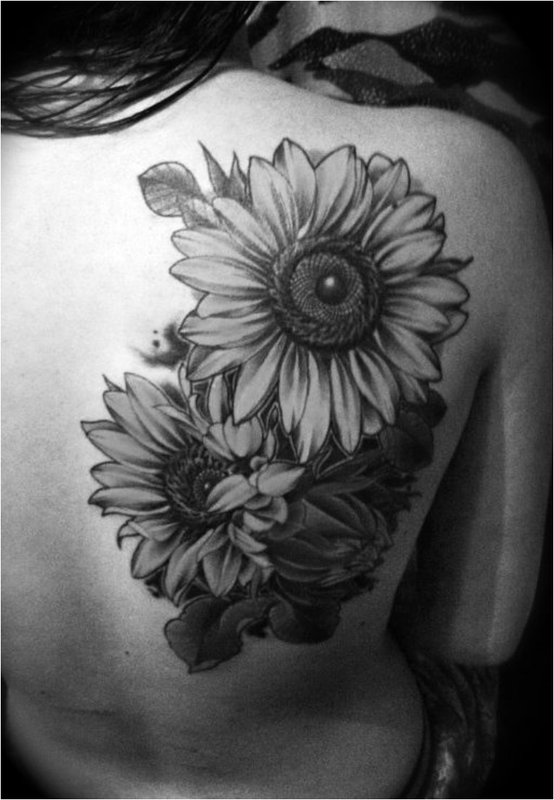 Personally, I would prefer to keep the natural color of the sunflower. That sunny yellow color is just plain awesome! 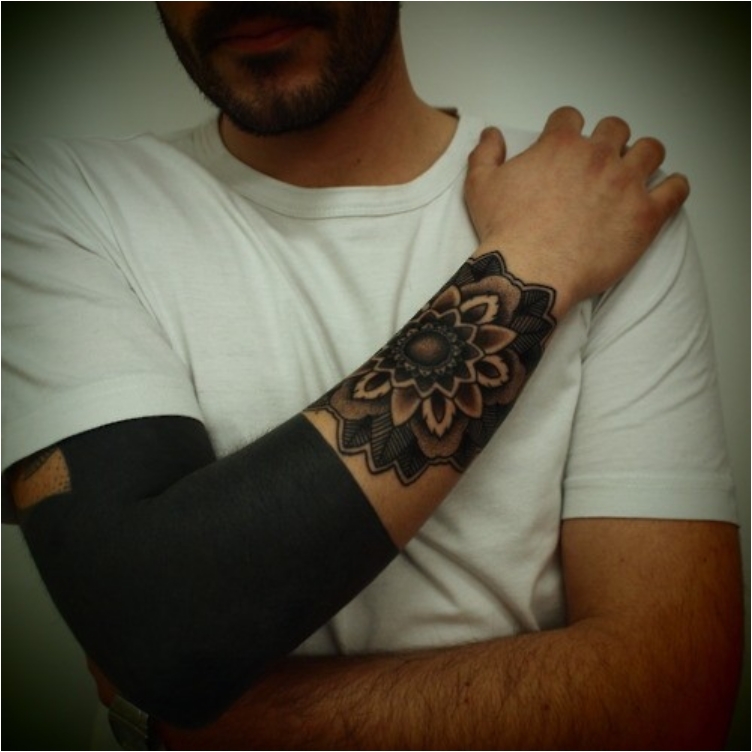 But if you’d like a more elegant tattoo, keep it all black. The watercolors definitely bring the true nature of the lotus out. The flowing coloring makes it look like a river. 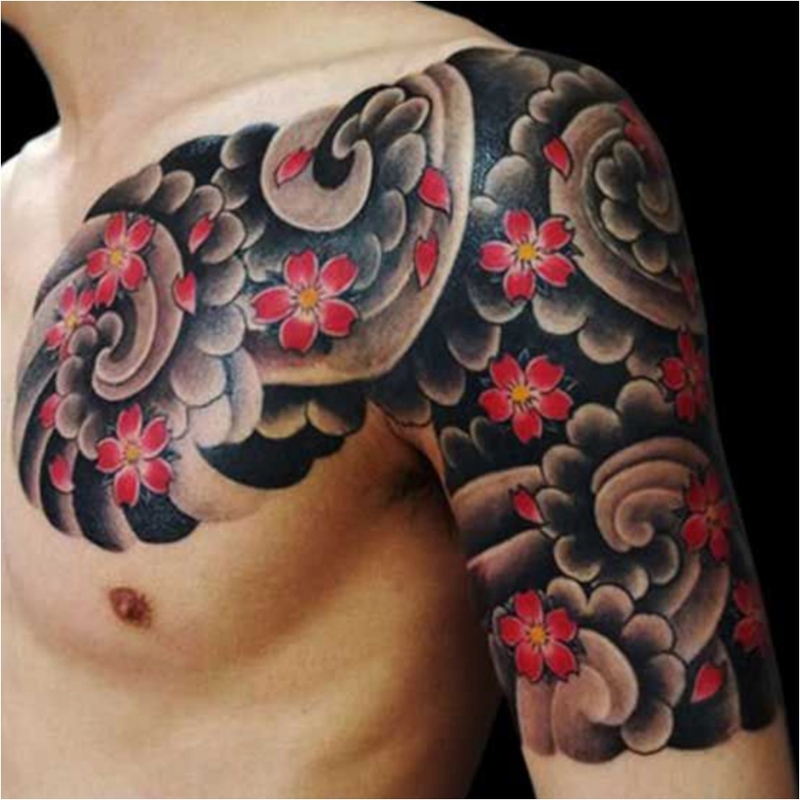 The artistic aspect of the tattoo is also one to note. We rarely see a tribal theme and flowers mixed together. Tribal is more of a manly tattoo. But as you can see, you can perfectly mix it with flowers as well. If you want flowers, and you want to take it to the next level, you go for a full bouquet. That’s just how things work. 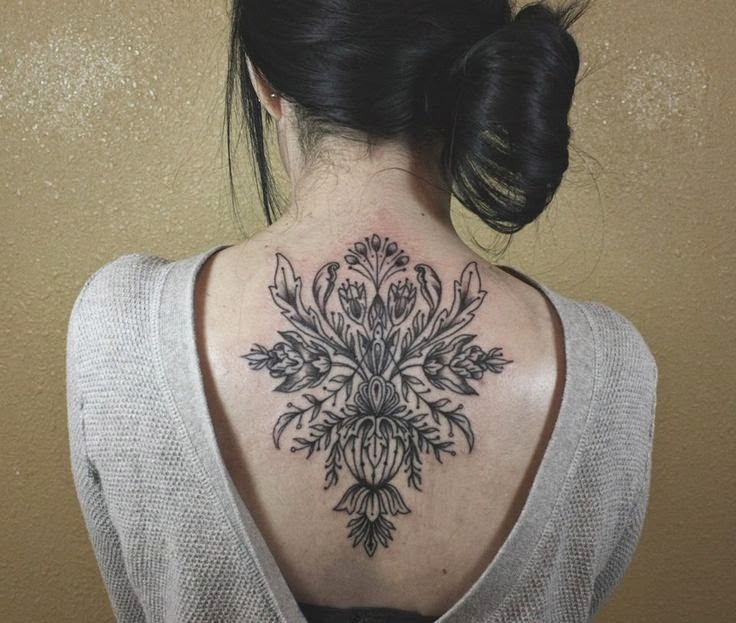 The orchid is an underrated flower when it comes to tattoos. People avoid it because it is more of a sensitive, romantic type of flower. But it can look good. Tell me honestly, when you look at the tattoo, what do you think—is it a male or female wearing it? As you can see, flowers can look badass as well. It is just a matter of how you do the tattoo. 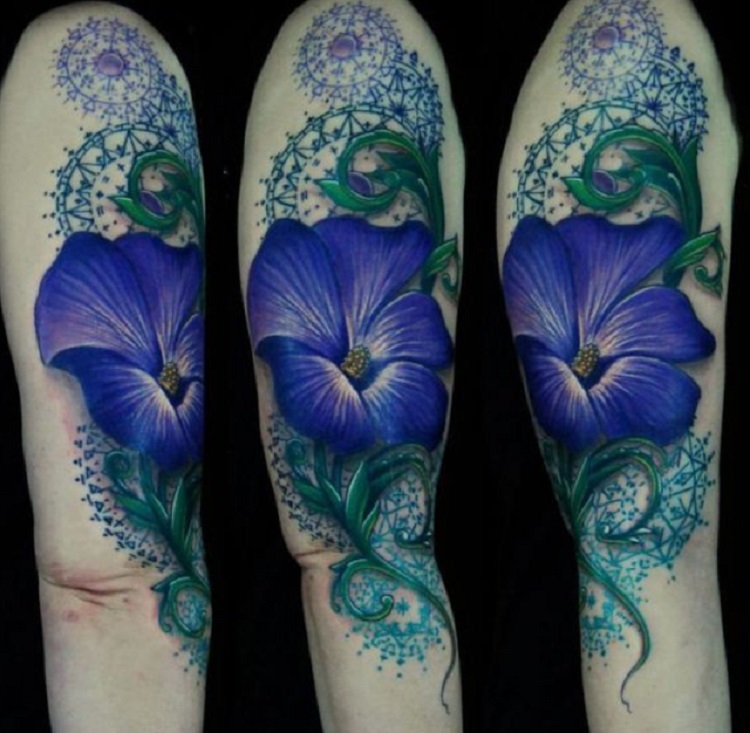 And right after the badass flower on the entire arm, we have a delicate wrist flower. You know me, I want to mix and match opposites. 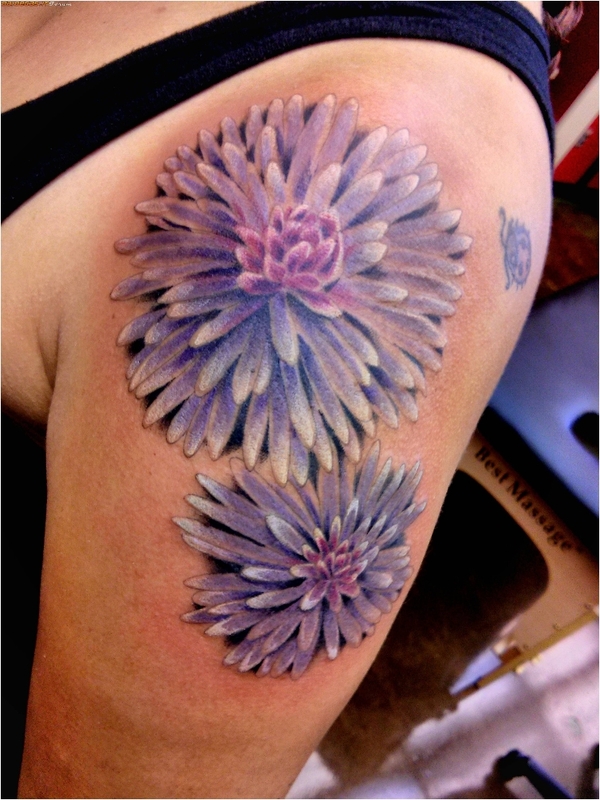 A popular flower of the daisy family, the chrysanthemum is a great option for a tattoo. And there is one simple reason why: the flower is just extremely colorful. You have to love those vivid colors! 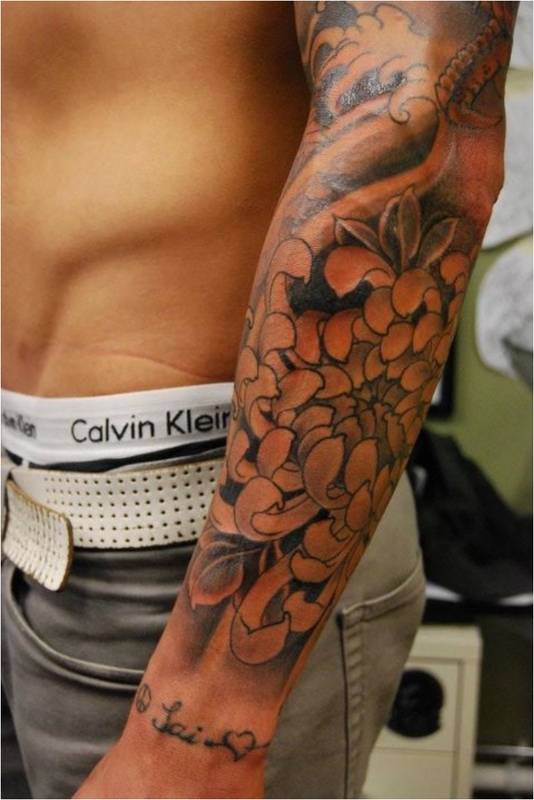 Another flower tattoo that is perfectly suited for men as well. You thought only girls love flowers? Think again. Blue is one of the colors that looks awesome no matter where you put it. 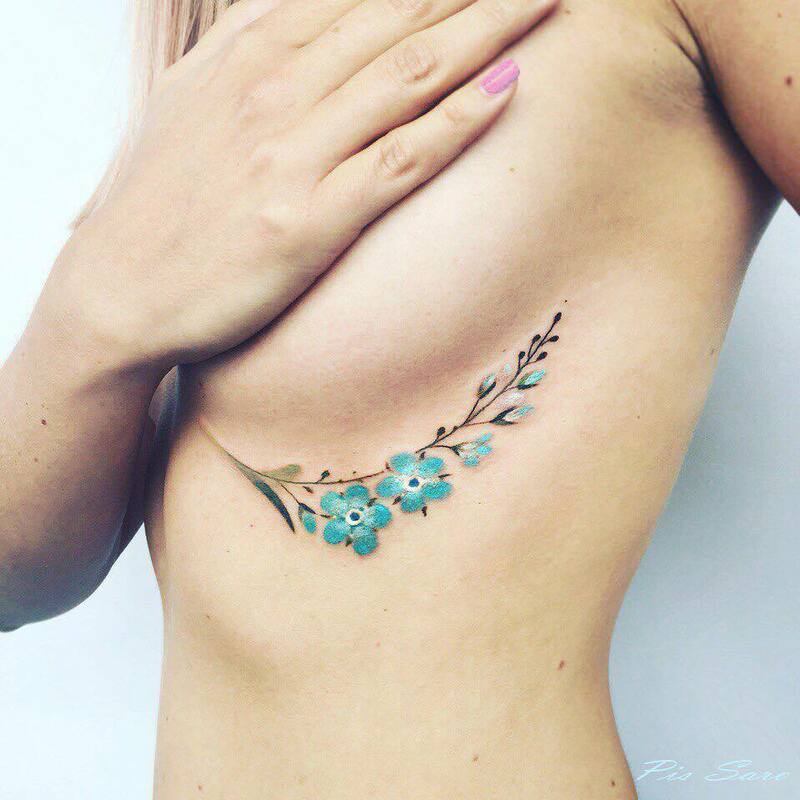 In terms of tattoos, blue can be a bit hard to achieve. But invest in a good tattoo master, and you won’t be sorry. 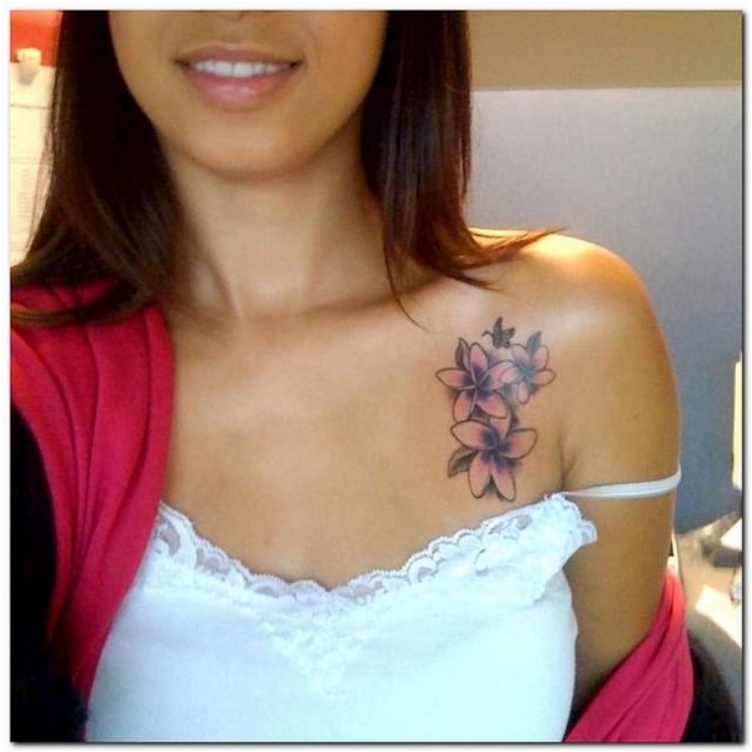 We will finish off with two of the most popular flower options for tattoos. 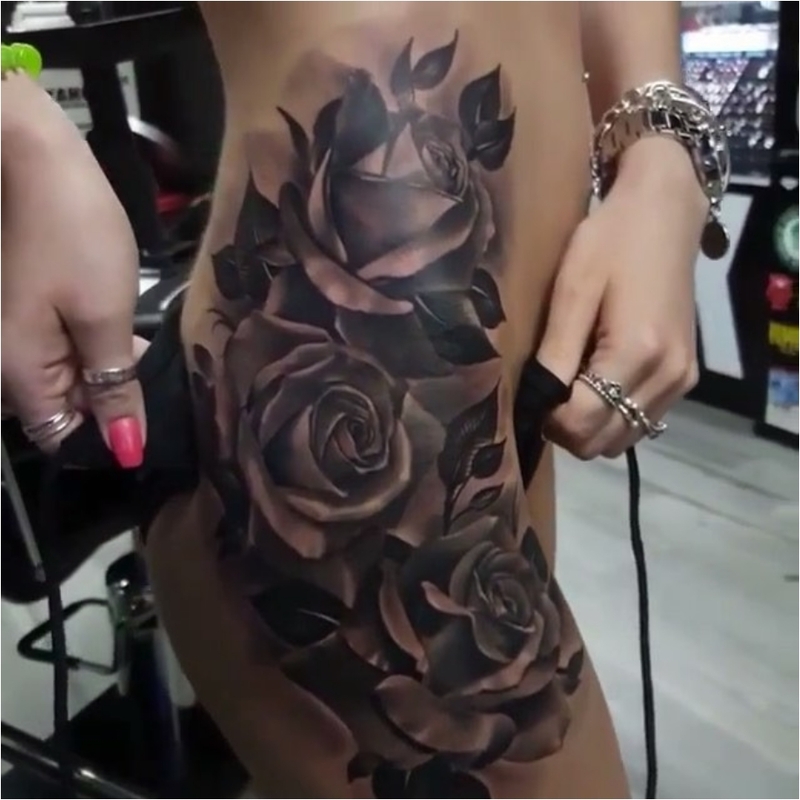 First, we have roses, only this time on the hip bone, in a bit of a sensual spot. 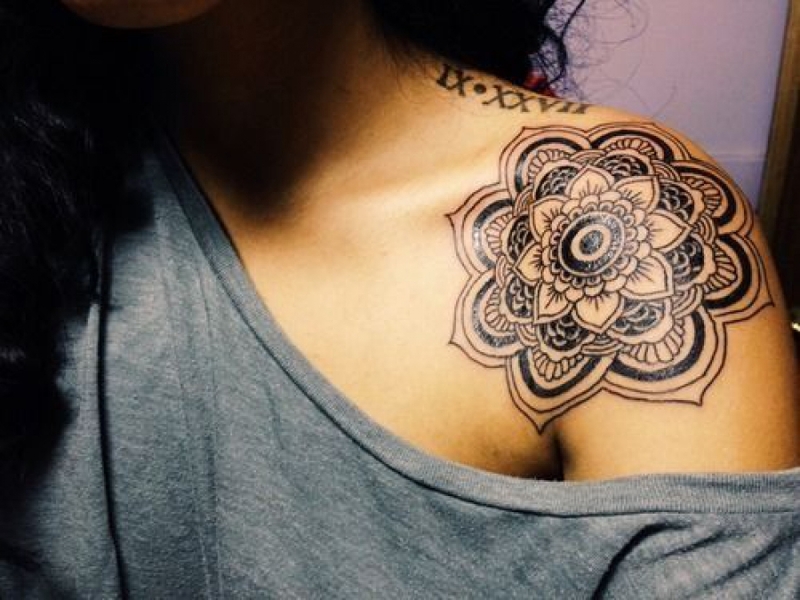 And for our last flower tattoo, we have a lotus done in a mandala form. 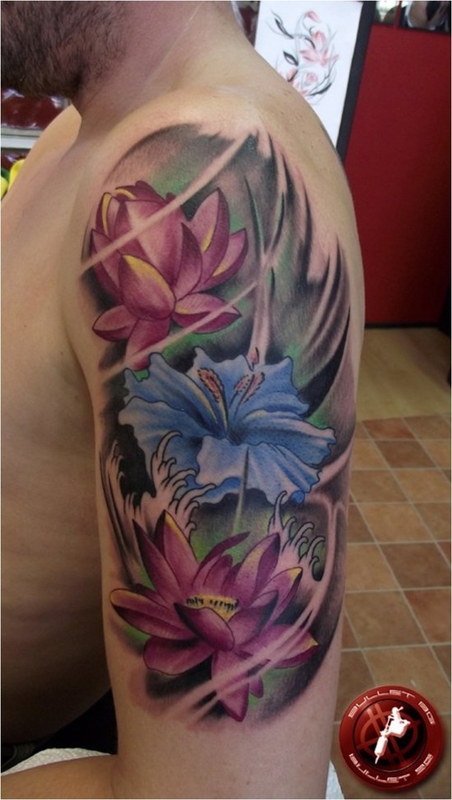 The Buddhist symbol makes the lotus look that much more awesome. Hope you found some inspiration. 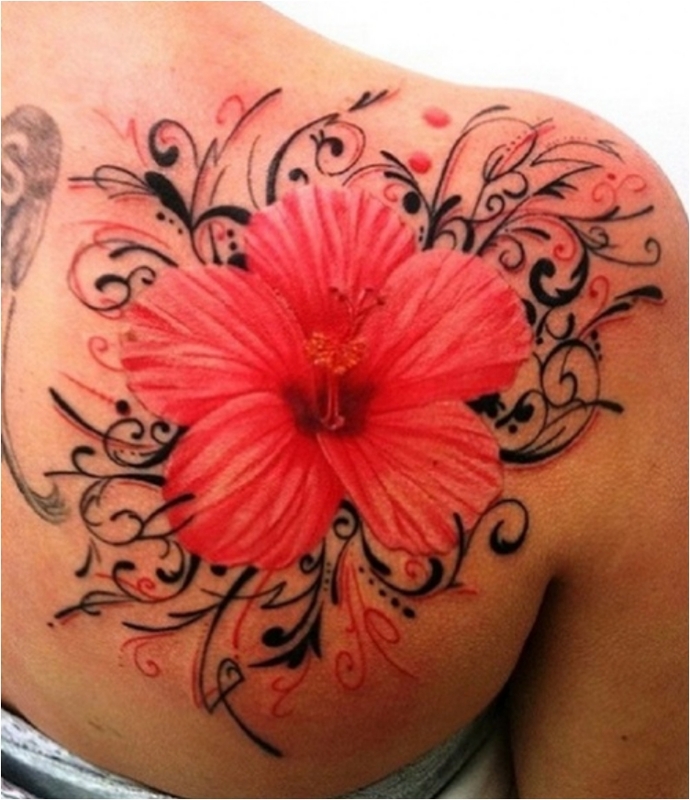 And if you still think flower tattoos are girly tattoos, take another look at the list!